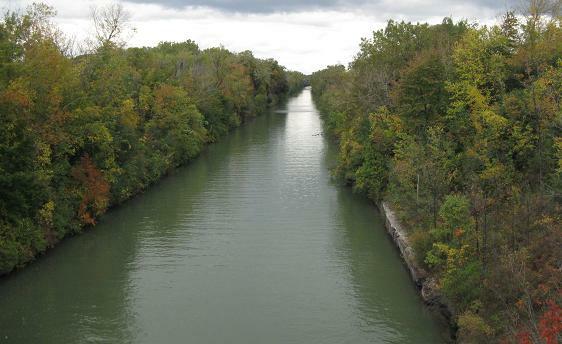 Over the Erie Canal, looking north and south. There may have accidentally been a NY 390 shield there at some point, hence the arrows. 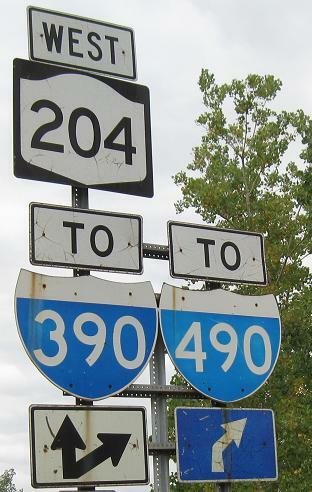 I-390 NB is to the right, leading to I-490 in one mile, and I-390 SB is straight and then left. It's possibly faster to stay on 204 to I-490 West, though. 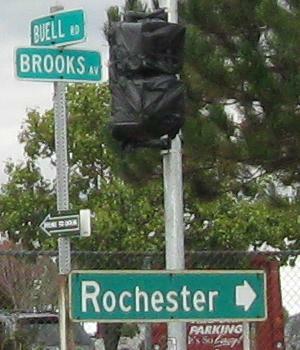 Leaving Greater Rochester Int'l Airport. The proportion of the "h" and "t" to the other lower-case letters is fine, but the "R" is supposed to be the same height. On the aborted Airport Expressway, which was meant to bypass the NY 33A duplex and connect to I-390. Instead, it was reconfigured to end at the bottom of the would-be WB onramp from 33A, with no interchanges between there and I-490.